Duncan Tong (唐鼎康) died a few years ago aged 103. He was a pioneer of the plastic flowers industry and owned the Hong Kong Artificial Flower Works in San Po Kong (and apparently not Li Ka-Shing as is often incorrectly reported) where the 1967 riots started. 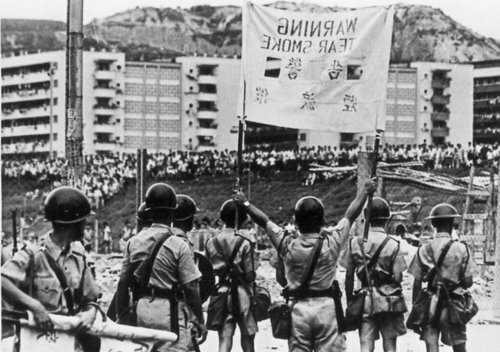 “The political struggle between the colonial government and the leftist camp started in a plastic flower factory in San Po Kong, Kowloon. This article was first posted on 31st January 2017.